Called “festive and spacious,” this place really is a ray of sunshine. Bright colors and cheerful patterns greet you around every corner, and the staff is just a nice as can be. An especially great place to bring the kids. Located just up from the Marina, this is a real find if you want to be close to the sights, although the street tends to be very busy. 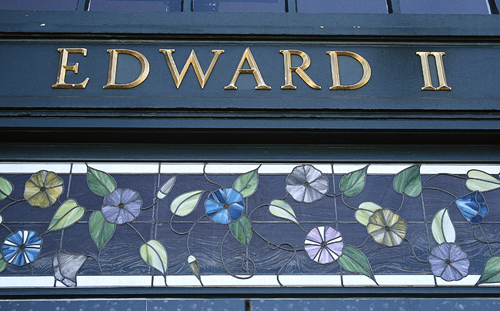 Nevertheless, this truly charming 1914 Edwardian inn features rooms full of antiques and fresh flowers, and serves complimentary afternoon drinks and hors d’oeuvres, as well as breakfast. Tucked away in a flower-filled Mediterranean courtyard decorated with murals, this motel offers guests a peaceful oasis right in the heart of the beautiful Marina District. Rooms are simple and clean, and parking is included. Listed on the National Register of Historic Places, this noble Victorian has been receiving guests since 1904. Right on Golden Gate Park. Decorated in period style, breakfast and afternoon tea are included. The place that Johnny Depp, REM, and the late John F. Kennedy, Jr, have all chosen to stay when they’ve visited the city might be to your liking, too. Located a bit too close to the Tenderloin for all but the most self-assured. Breakfast included, as well as parking. It’s a Best Western, but one of the stylish ones. 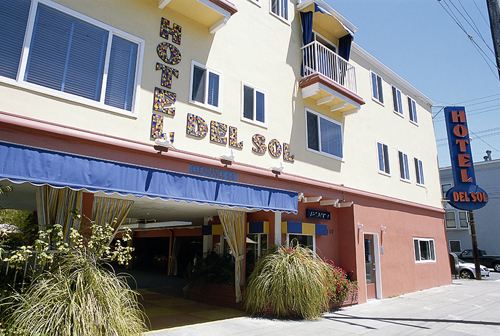 Located right in Fisherman’s Wharf, staying here takes some of the touristy edge off the neighborhood. Features include a mirrored wall in each room, free coffee, tea, and biscuits, and a complimentary limousine service. Handy for Cliff House and Land’s End , as well as the Palace of the Legion of Honor. Rooms are large, though plain, and there’s free parking and a heated pool. Located in Pacific Heights, this is a magnificent 1900 brownstone mansion. The wood-paneled parlor is an inviting place, and the stone fireplace provides a warm glow for afternoon tea. Clean, quiet and comfortable, but it doesn’t get any simpler than this. The advantage is the close proximity to the Castro, Hayes Valley, and the Mission. Situated on a quiet block close to transportation, this 1960s motel is modern and comfortable. There is on-site parking and some rooms have kitchenettes. San Francisco is, of course, a tolerant city and virtually all hotels will welcome gay and lesbian guests with a smile. The very friendly owner/operator of this B&B seems to have thought of everything to make your stay in the heart of the Castro as pleasurable as possible. He’s ready with maps and advice on where to go. Comfort is key, in bright rooms filled with art and plants. Rooms and suites in this stunning old building are named after Mark Twain, Enrico Caruso, Jack London, and others, to remind guests of San Francisco’s illustrious history in the arts. Rooms are furnished with four-poster beds, fireplaces, bay windows, American Renaissance pieces, and the like. This restored 1903 Edwardian house is conveniently located close to public transport in Castro’s gay community. The interior is a blend of handcrafted willow furnishings, antique dressers, armoires, and cozy comforters. This charming building was constructed in the Victorian style in the late 1880s. 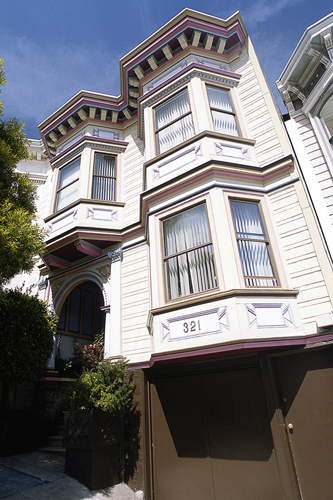 It is situated on a quiet, tree-lined street just three blocks from the Castro. All of the six rooms have high ceilings and period furniture. Guests can enjoy free wireless internet connection and a complimentary breakfast. This restored 1890s Italianate Victorian has views of Downtown and the Bay. Accommodations are a mixture of contemporary furniture, original art, and plants. The kitchen is equipped with dishwasher, clothes washer, and microwave. A friendly, gay boutique hotel with the best views of the annual gay pride march on Market Street. Built in 1909, it was restored to its turn-of-the-20th-century charm in 2001. It has a bar, lounge, and café. This fine Victorian mansion serves a buffet breakfast in charming double parlors. The garden has a redwood hot tub, and sundeck with a panoramic view of the city. This Edwardian mini-mansion has expansive gardens and sun decks. Just steps away from gay bars and restaurants. Rooms feature shutters, French tapestries, and wrought-iron pieces. Most rooms include a fireplace, and two of the rooms also have Jacuzzis. In the heart of the Wine Country, this elegant guesthouse is situated on an estate with gardens, meadows, and great facilities such as a mineral pool, hot tub, and whirlpool spa.